Packing for the summer, I had no idea what adventures were waiting for me in Mountain City. I’m happy to report that this summer was filled with meaningful research, writing, and lots of “other duties as assigned.” One of the joys of working at Foxfire is that there’s always something going on. Between summer fellows, tours, camp, and the projects I worked on, this intern stayed plenty busy. At the end of my internship, and in the spirit of Foxfire, I wanted to share some reflections of my time on The Land. Amongst the hustle and bustle of a busy summer at Foxfire, the archive was my constant. I spent hours poring through dozens of interviews that collectively create an incredible archive of southern Appalachian history and culture. I combed through pages of handwritten transcripts looking for stories related to my research projects and, in the process, came across some amazing people. While researching Native American history as part of an initiative to revamp interpretation at the museum, I met Goingback Chiltoskey. He grew up speaking only Cherokee until he was sent to a Cherokee boarding school, where he was forbidden to speak his native language and was cruelly punished for doing so. Goingback went on to become one of the most celebrated woodcarvers in the twentieth century, and his art is on display at the National Museum of the American Indian in Washington DC, among other places. When we visited the Museum of the Cherokee Indian, I was thrilled to see Goingback’s story included in the exhibit. His is just one example of the many powerful stories held in Foxfire’s archives that illuminate American history through a personal lens. This summer I valued spending hours in an archive that solely houses oral histories. I feel like I now know Mary Pitts, Addie Norton, Nora Garland and Aunt Arie after going through their interviews while updating the Foxfire Book of Appalachian Cookery. From them, I learned the ins and outs of cooking on a wood stove, the best way to fry frog legs, and about a half dozen ways to make cornbread. They told me how families came together for cornshuckings, and how candy pulls were a time for men and women to pair off into couples. I came to know these four women, and their personalities, while learning about Appalachian foodways traditions. Having the time to sit with their stories offered a valuable lesson: archives offer more than just facts or evidence to prove an argument. They also offer people and personalities who cooked and walked and lived like me–archives illuminate whole lives. People are the heart of Foxfire’s mission. From the very beginning, this organization has focused on sharing and celebrating people and the communities they make up. This summer, wading through files and files of interviews, I was particularly struck by how community is preserved in the Foxfire archive. While learning about buried treasure in Rabun County, I came across the same story told four times by four different people. This shows the extensive social network that defined this corner of Georgia. 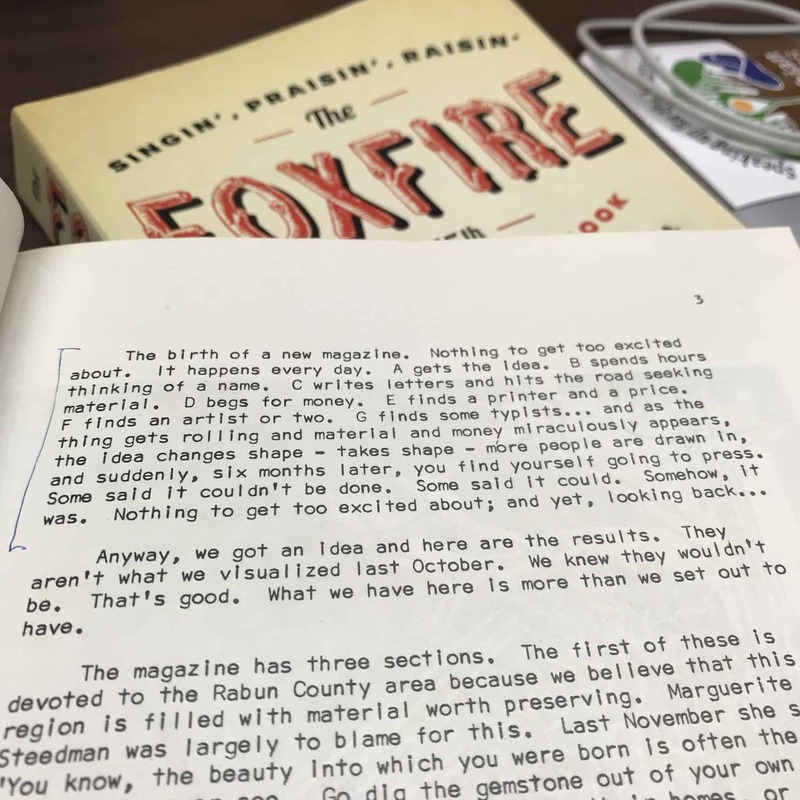 While researching, I learned that the real value of Foxfire’s archive is that it preserves not just individual stories but generations of a whole community. As a historian, I think a lot about the project of history. I think about all the people and places we learn about in school and all the ones we don’t. At the root of this project is the archive and the stories we choose to place there. In grad school, I thought about archival silences and what those omissions tell us about the production of history. But my time at Foxfire has given me a valuable lesson in all that archives can tell us. Foxfire began with students collecting stories from their neighbors and family members to learn about the past. Fifty years later, we now have a vivid snapshot of the community they all inhabited when the project began. This summer, I learned that the methods of the student interviewers are just as valuable as the interviews themselves. After working with the summer fellows, I’m excited that they, and the stories they captured, will soon find a place amongst the ones collected over the last five decades. They’re producing the history we’ll visit years from now, and I’m immensely proud of their work and thankful for the opportunity to assist them in that project. 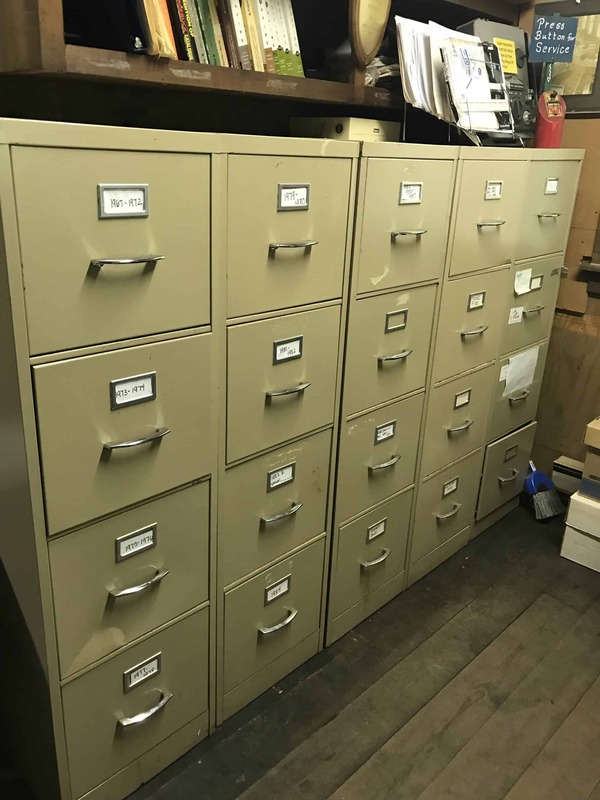 At Foxfire, I learned the power and potential of a community collected archive. This summer I often thought about a quote etched on the side of a library at Brown that says, “speak to the past and it shall teach thee.” I’m grateful for a summer spent talking to the archive and listening to stories from dozens of people, living and dead, who taught me that you can’t separate the skills printed in Foxfire books from the people who so generously shared them. As I prepare for a PhD in history, I’m thankful that I had the opportunity to slow down and sit with an archive to see all it holds. I learned that here it’s all about community and I’m grateful that Foxfire invited me in with arms outstretched.